Q. There are many websites and products that are offered through LandlordOnline.com, do I have a different USER ID and PASSWORD for each website and product? A. No, you will only have 1 USER ID and PASSWORD to landlordonline.com. LandlordOnline.com will keep track of which websites and/or which products you have purchased. You will log into landlordonline.com and you will have direct access to everything you have purchased. At anytime you can add additional websites and/products and they will be part of your same account using your current USER ID and PASSWORD. Q. There are so many options. Can you give me a summary of the different products and offerings that you have? A. Yes, you are correct, we do have many options. Landlord Resource Center offers over 1000 pages of information on being a successful landlord. It has general information on almost any subject related to being a landlord. A new landlord or a seasoned experienced landlord will find new ideas and great information on being a landlord. There is also a chatroom so that you can talk to other landlords and get advice and learn from other landlords. There is also access to all 50 states Landlord Tenant Laws and to our Landlord Attorney Directory of over 800 attorneys. To learn more about Landlord Resource Center click here. Landlord Training Center you can purchase the eCourse that you are interested in taking or purchase all courses for 50% discount. These courses are designed for you to educate you on specific topics and to allow you to take test and to get a certificate of course completion. Landlord Legal Forms is where you can either buy the specific form you are looking for or you can purchase unlimited access to all the forms for $98. All forms are either Attorney Approved or Expert Approved. Landlord Coaching Center is your own private question and answer center. Have a question and not sure who to ask. Ask Landlord Coaching Center, with our expert team of real estate and landlord professionals. We will be able to answer virtually any question (this is not a service for legal advice) Landlord Mini Guides are a great way educate yourself on a specific subject. The guides are condensed no-non-sense-to-the-point training guides ranging from 20 pages to 75 pages. Q. Once I purchase the websites and/or products that I want, when do I have access to them? A. You will have immediate access to all products purchased. Q. I lost my PASSWORD and/or USER ID. What do I do? A. Click on this link and we will email your USER ID and PASSWORD to you. Q. But I do not have access to my email account or my e-mail has changed? What do I do? A. Please call us and we will manually verify your account information and assist you. A. 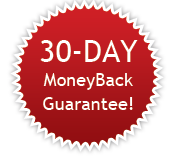 We have a 100% guaranteed refund Policy. You must ask for a refund with in 7 Days of purchase.